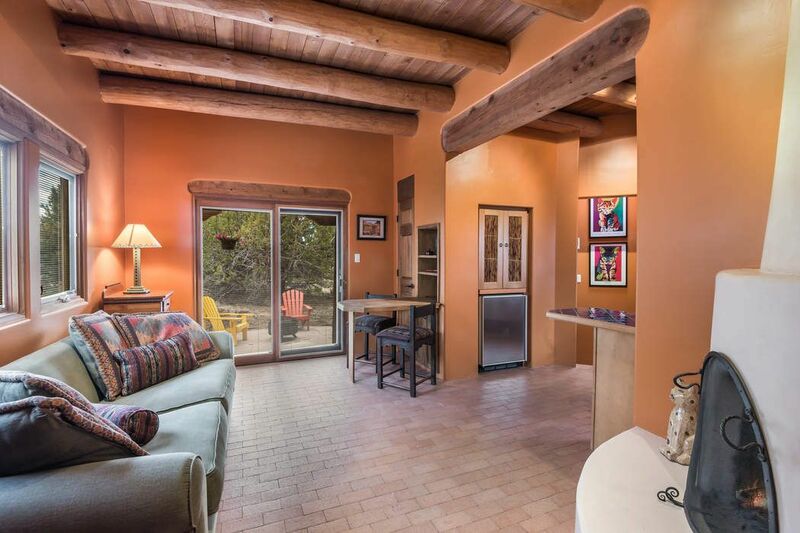 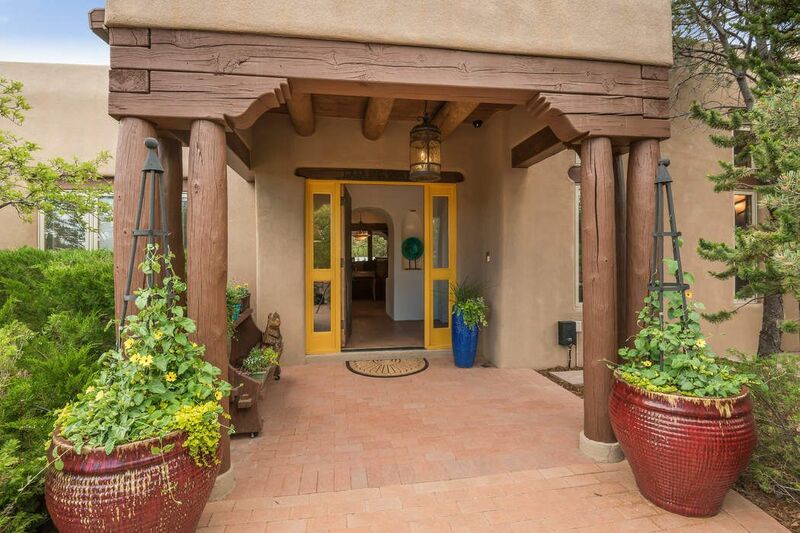 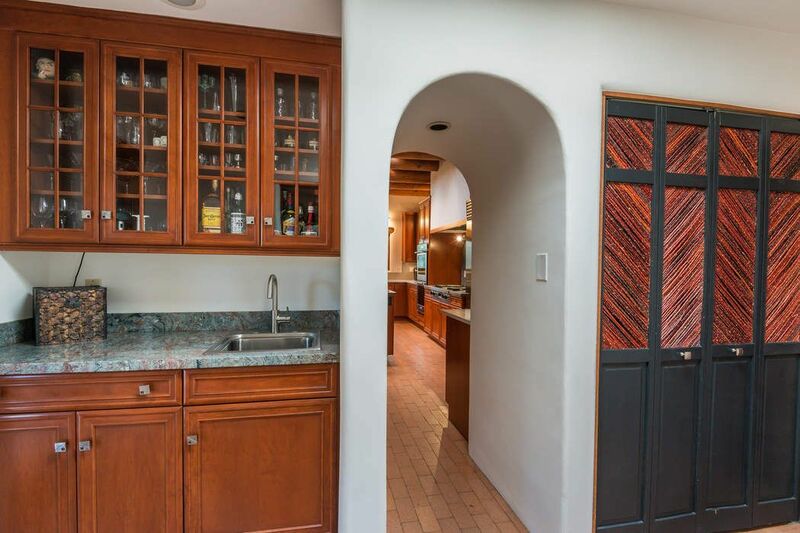 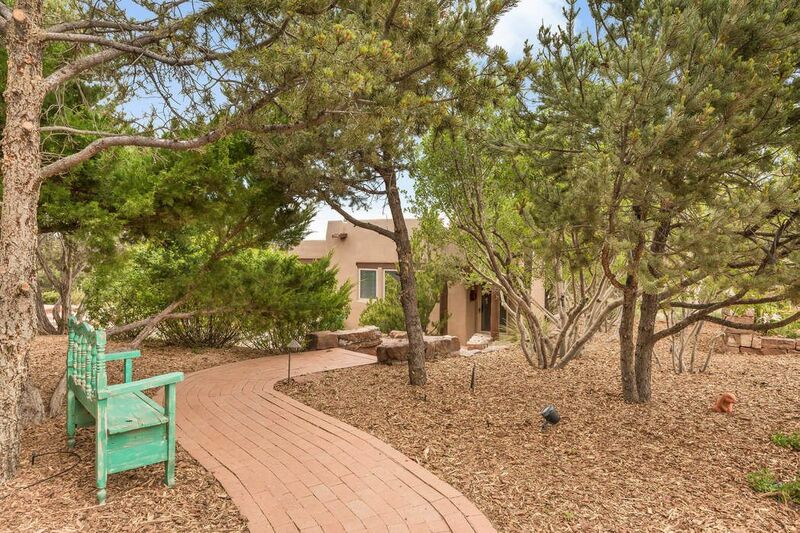 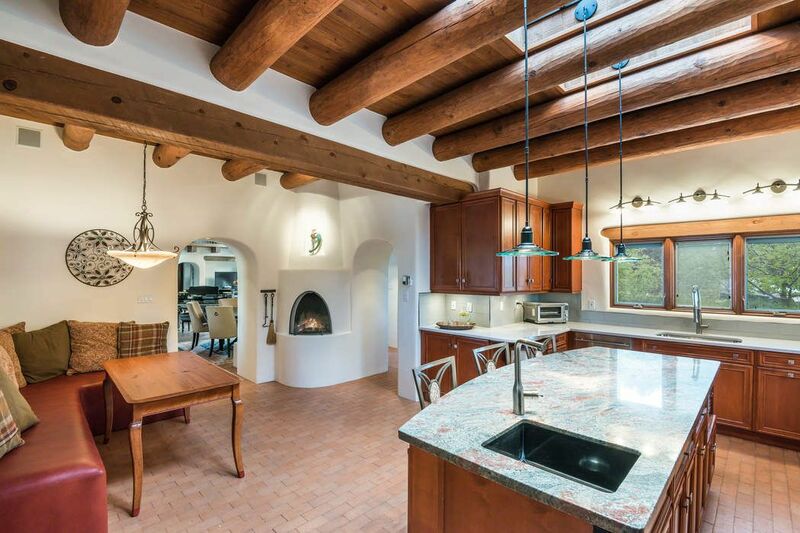 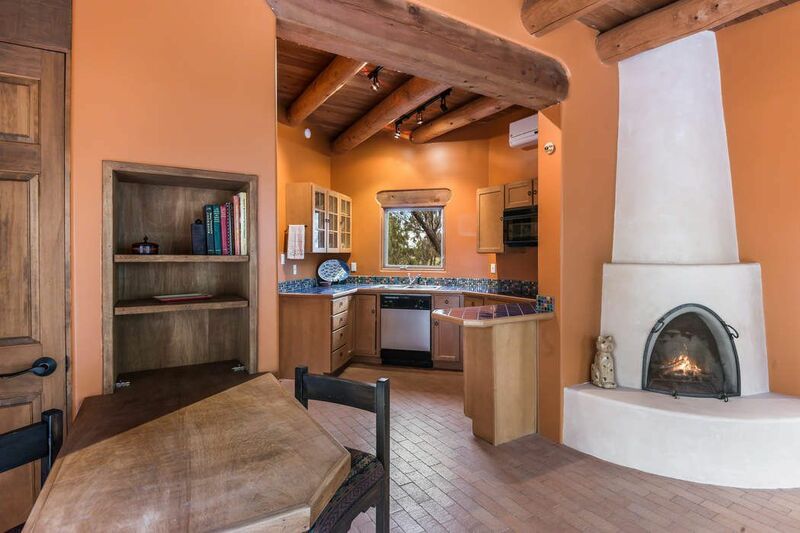 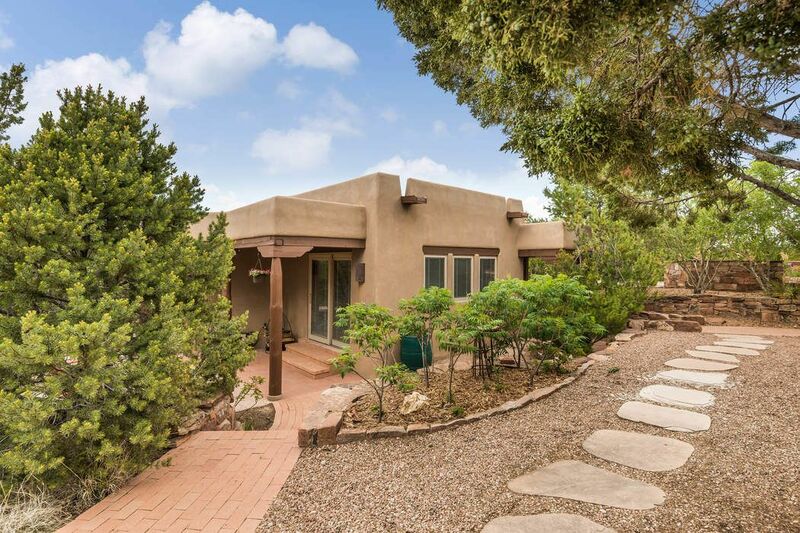 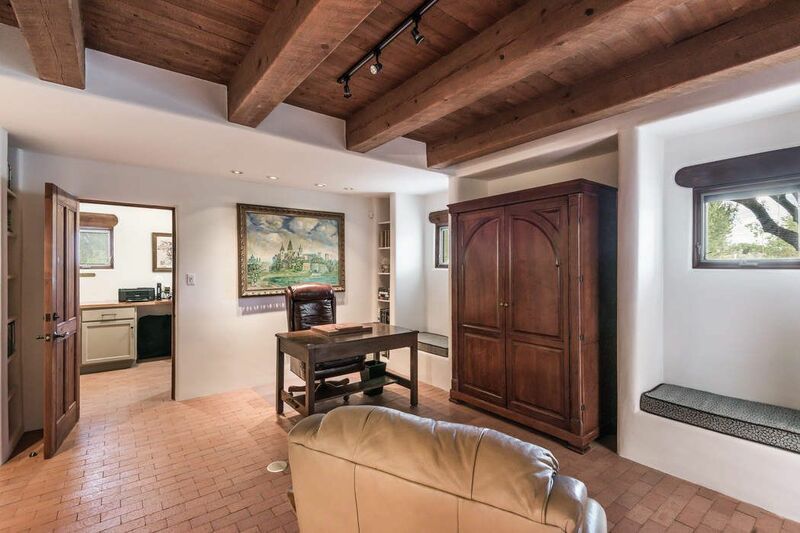 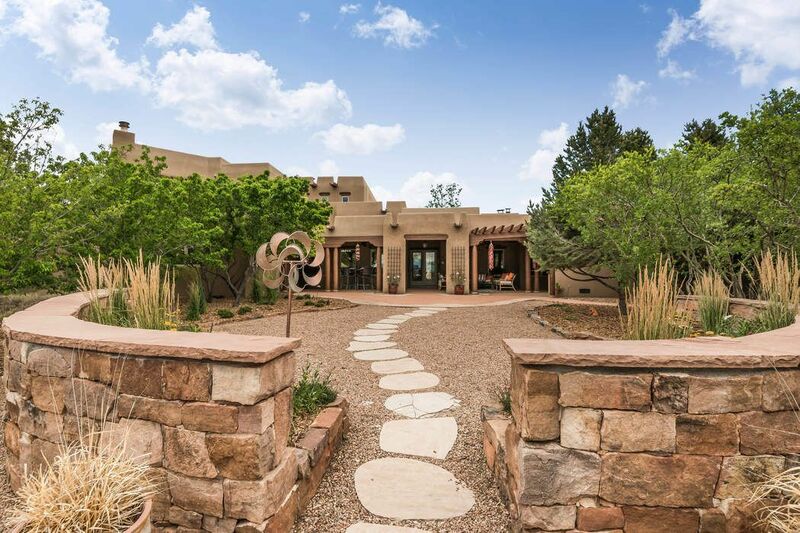 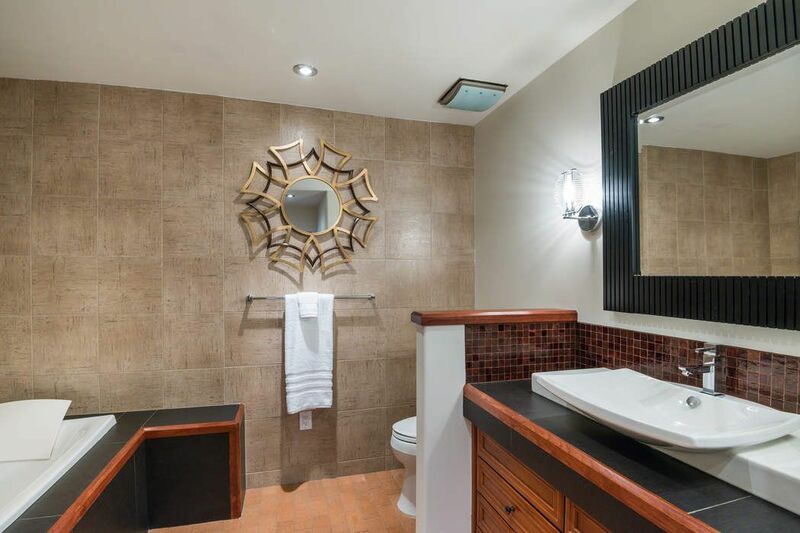 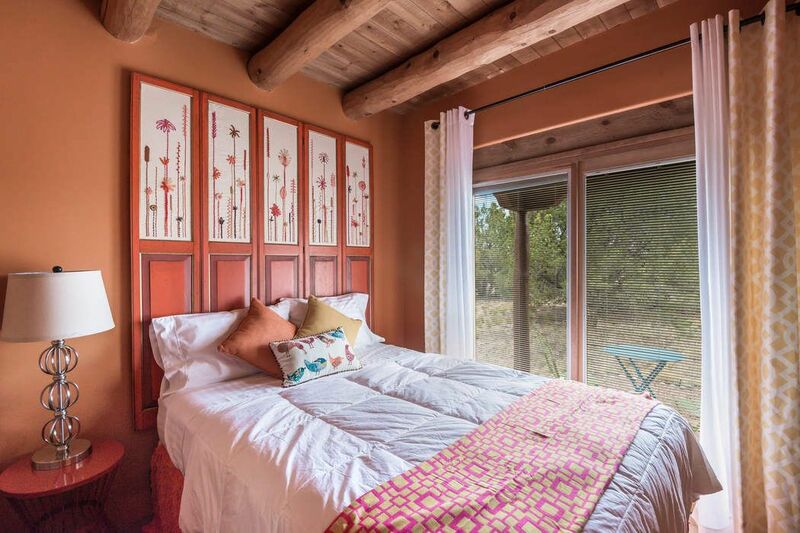 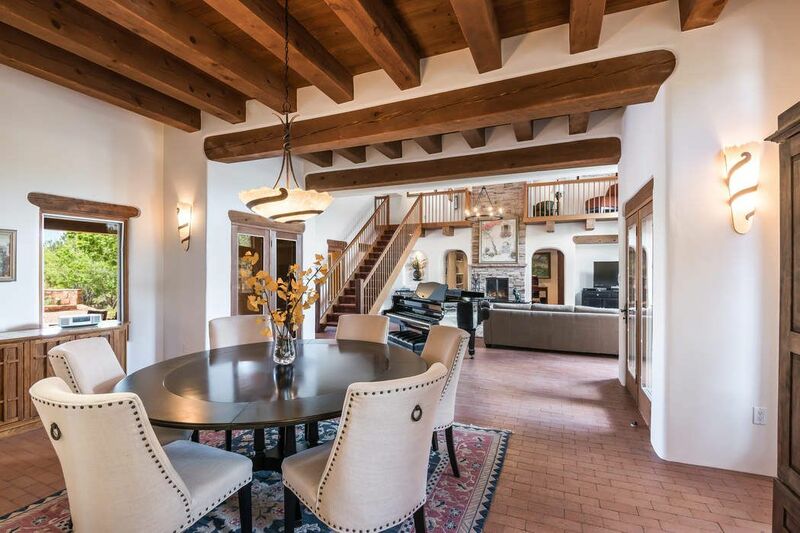 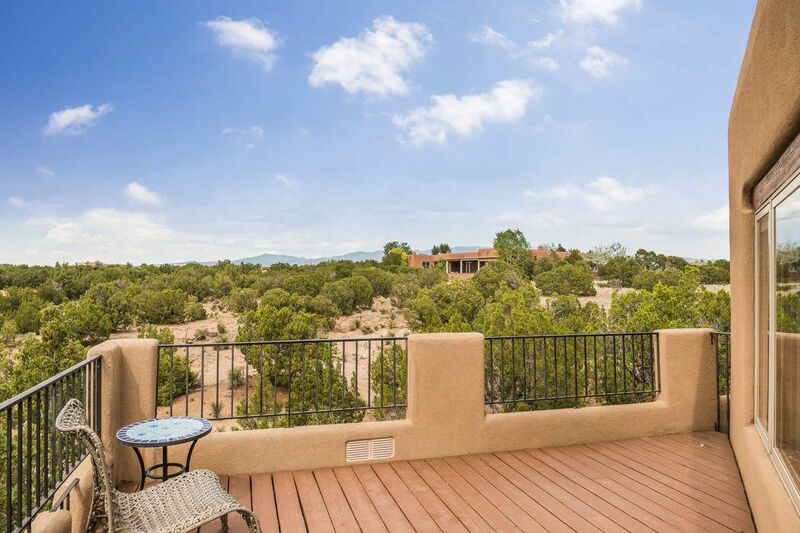 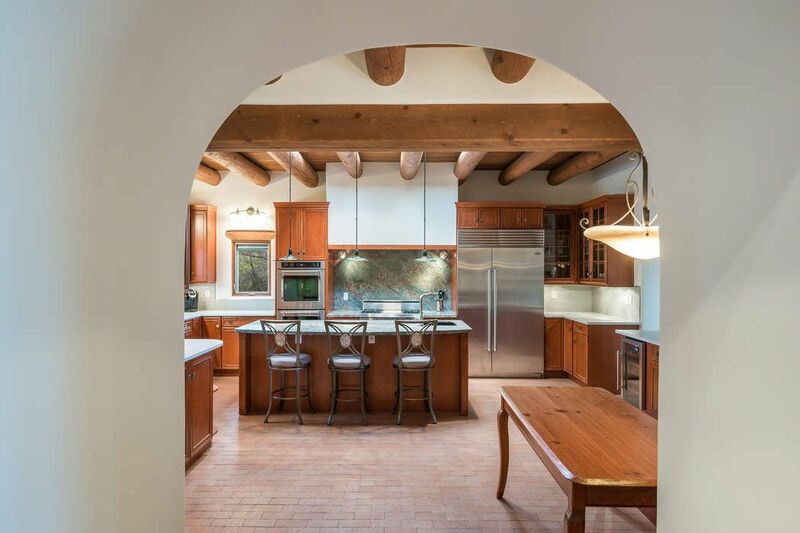 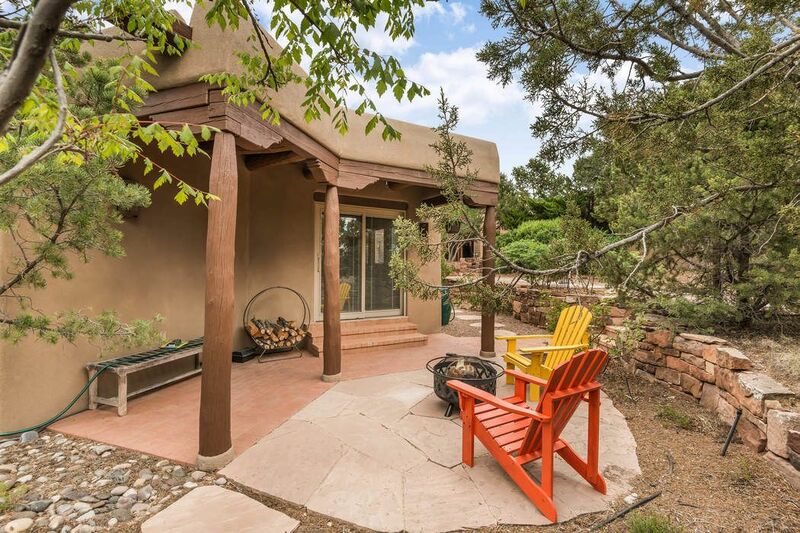 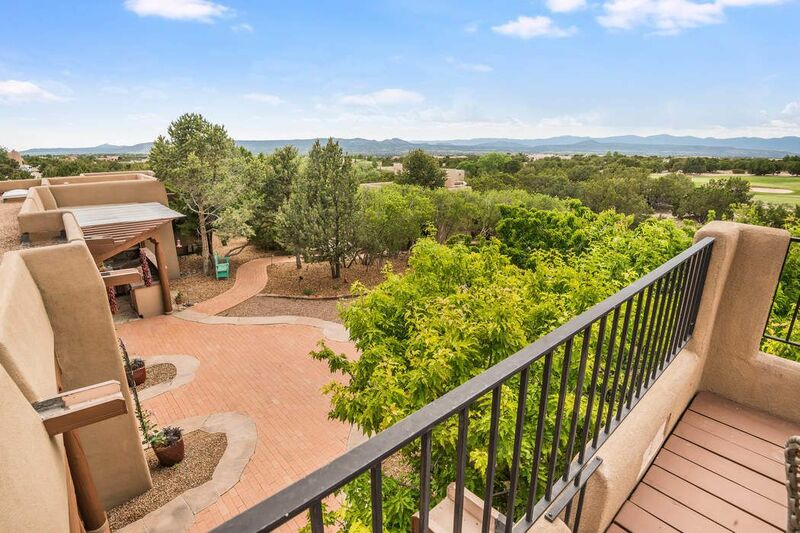 41 W Golden Eagle Rd, Santa Fe, NM 87506 | Sotheby's International Realty, Inc.
$998,000 4 Bedrooms4 Full / 1 Partial Baths4,904 sq. 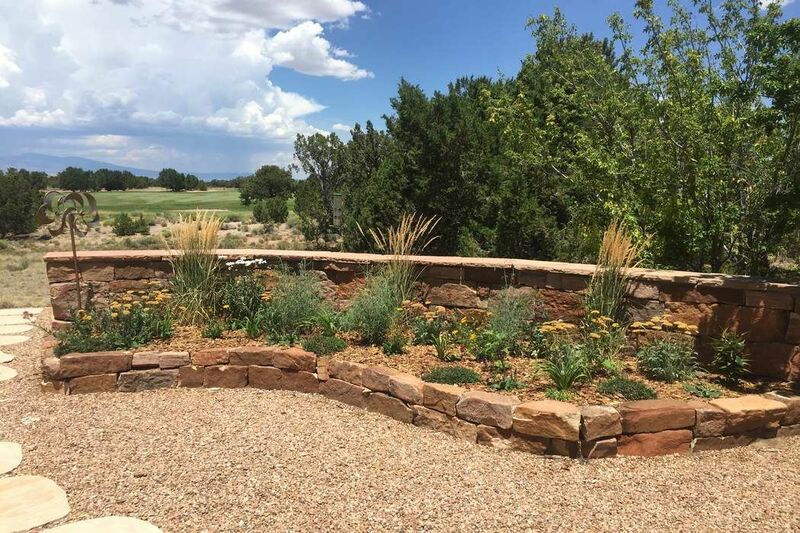 ft.
A Blend of the Best! 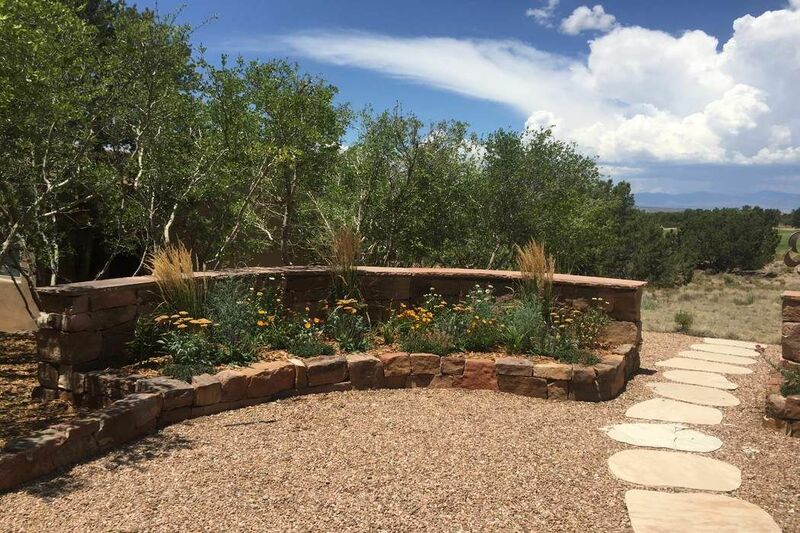 A Blend of the Best! 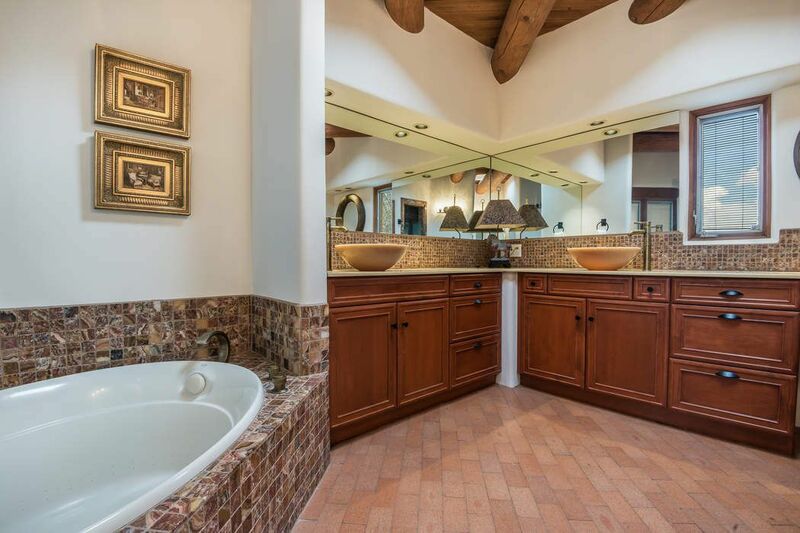 A sophisticated and luxurious home; a masterpiece of design and craftsmanship. 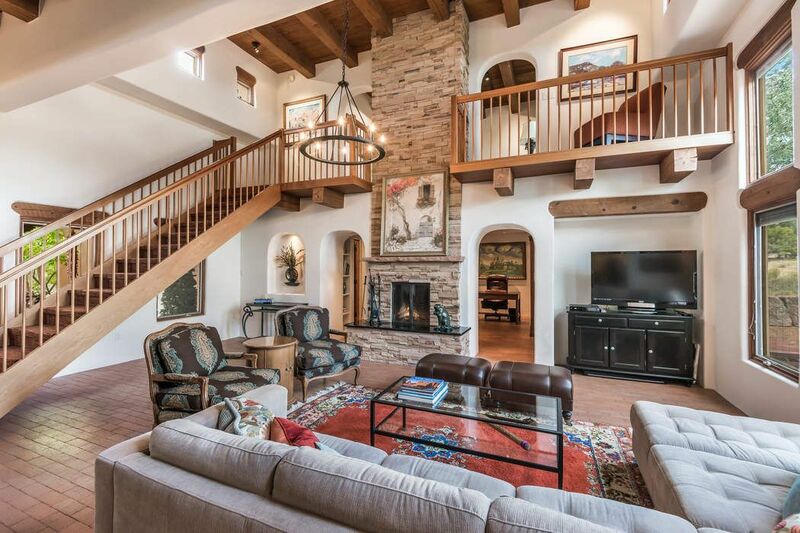 The sweeping staircase draws you into a voluminous layout made for entertaining. 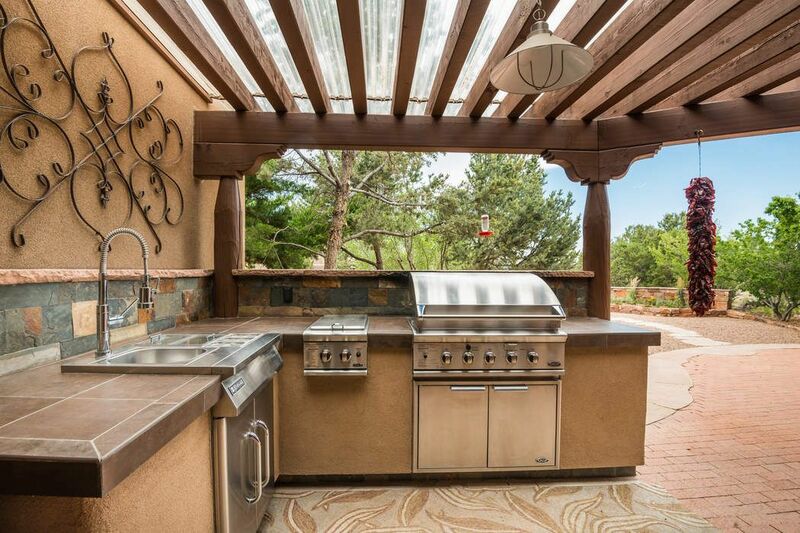 Sprawling spaces flow outside to outdoor living areas that include a full kitchen and extensive portals. 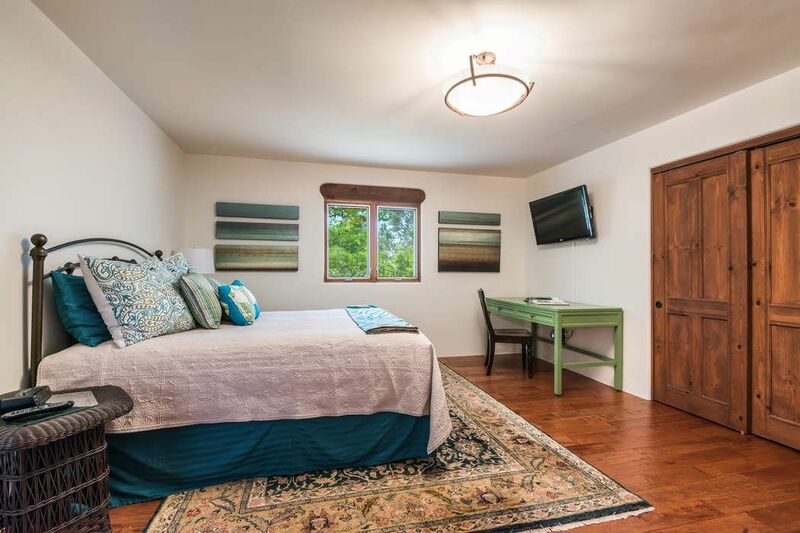 A separate guest house, perfect for your out-of-town guests, completes the scene. 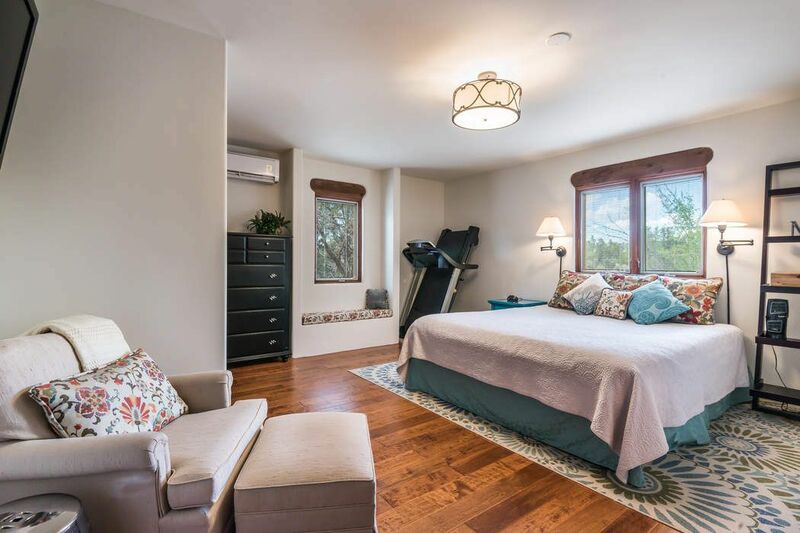 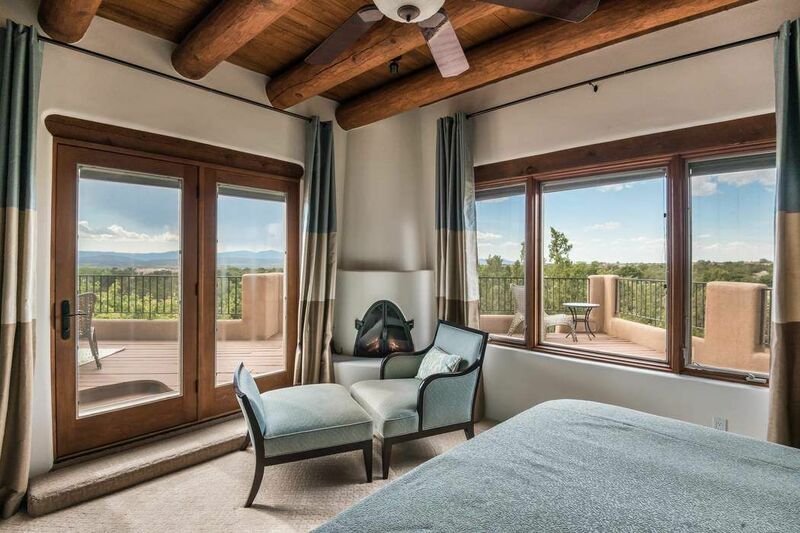 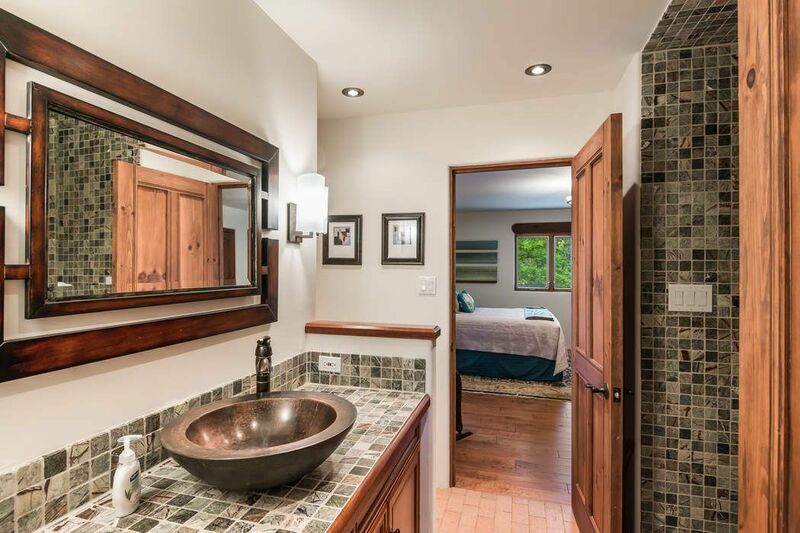 The upstairs master bedroom suite is an incredible retreat designed to pamper with a luxurious master bath, a separate sitting room and a large outdoor deck to take in the unparalleled mountain views. 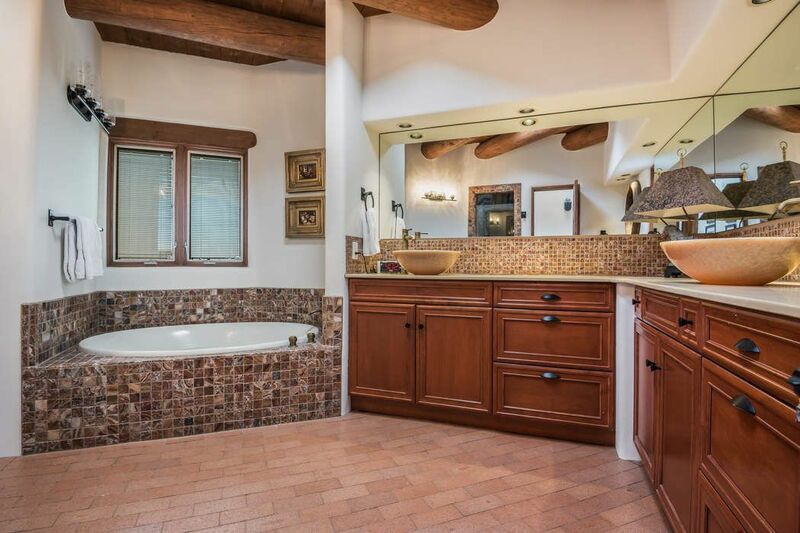 The second master on the main level features generous closet space and a spa like bath. 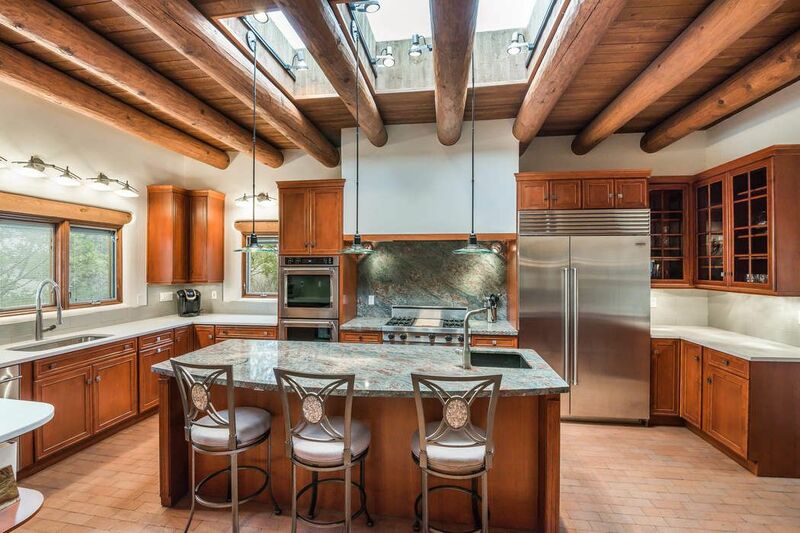 Enjoy large gatherings in your gourmet kitchen defined by a large center island, upscale appliances and a separate eating area. 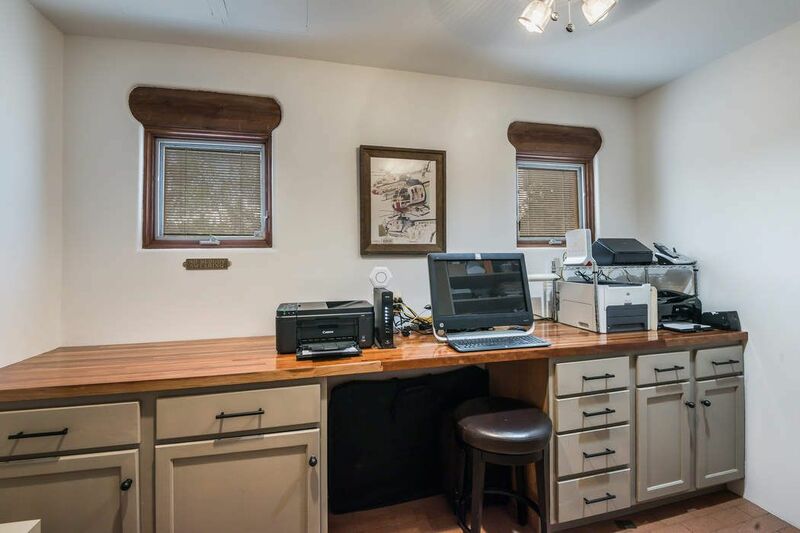 An extensive 2-room home office with lovely built-ins could easily double as a state-of-the-art media/family room. 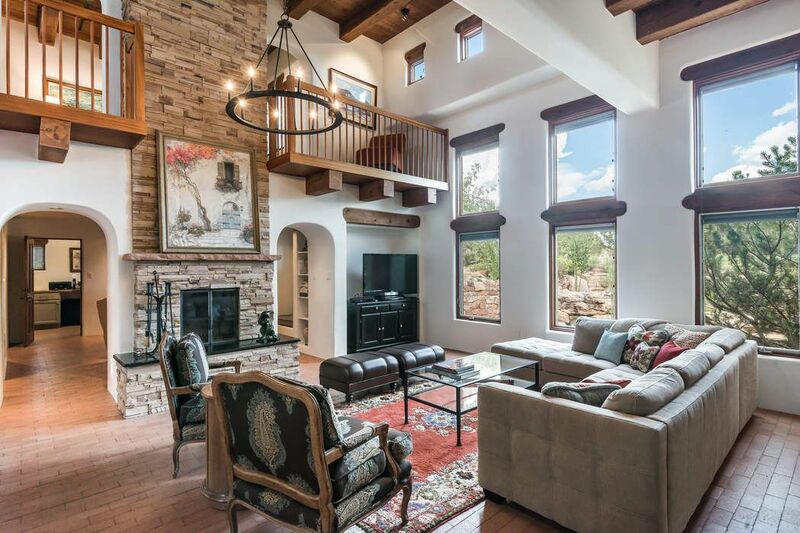 Anasazi stacked stone accents throughout and a built-in safe are just a few of the many unique features of this inspirational property. 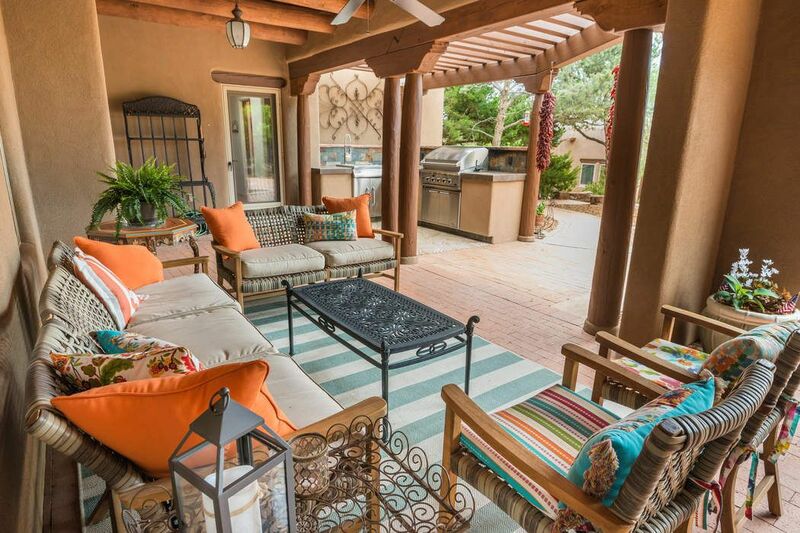 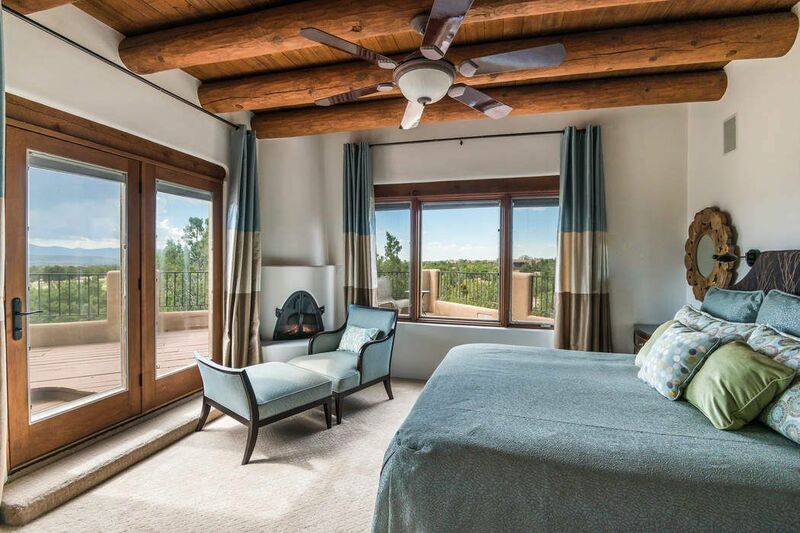 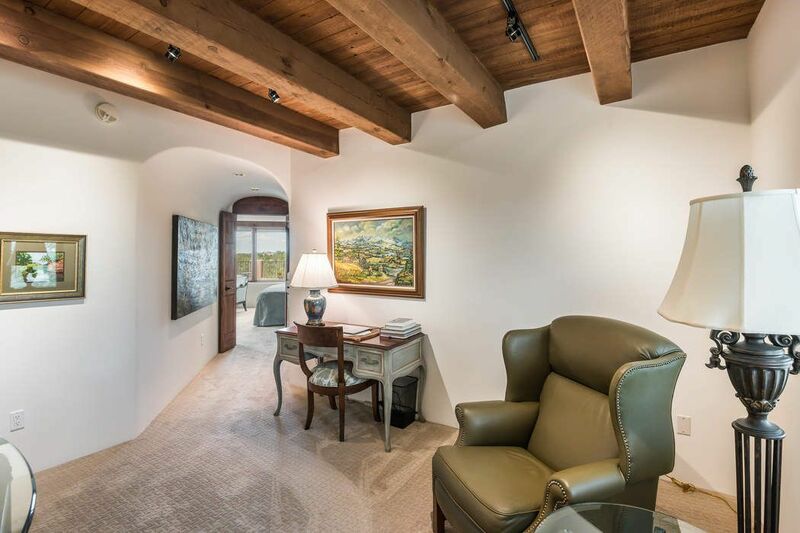 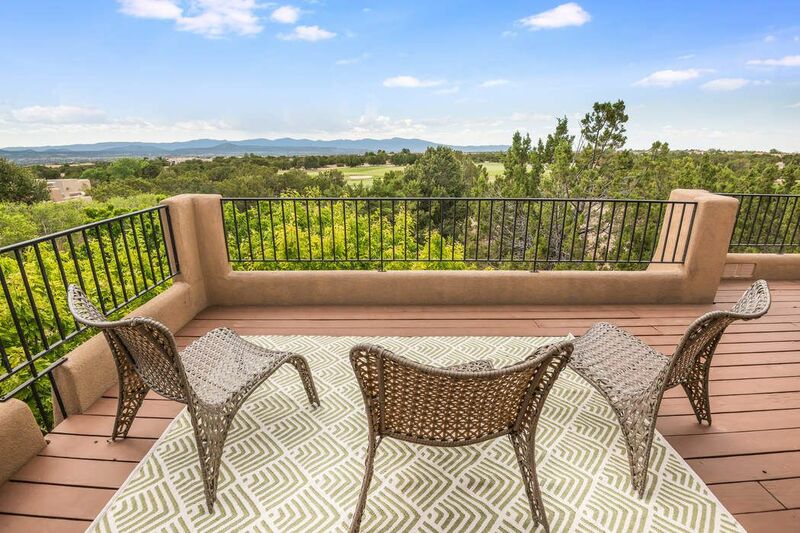 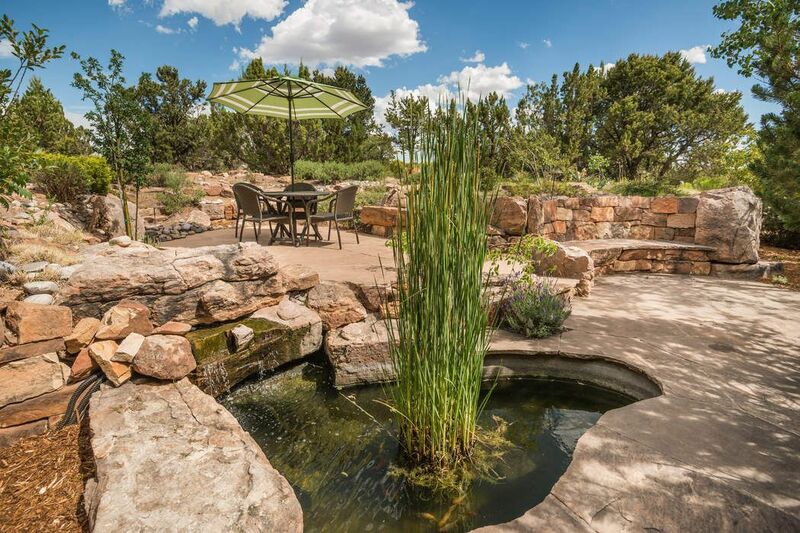 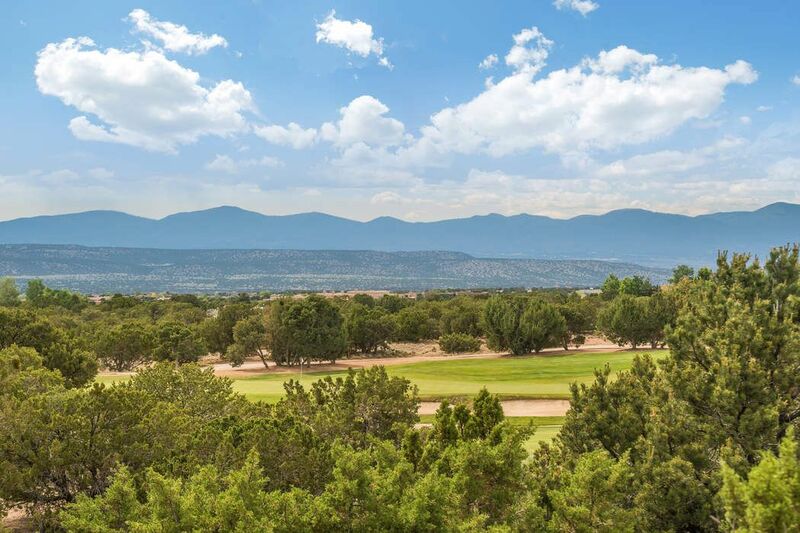 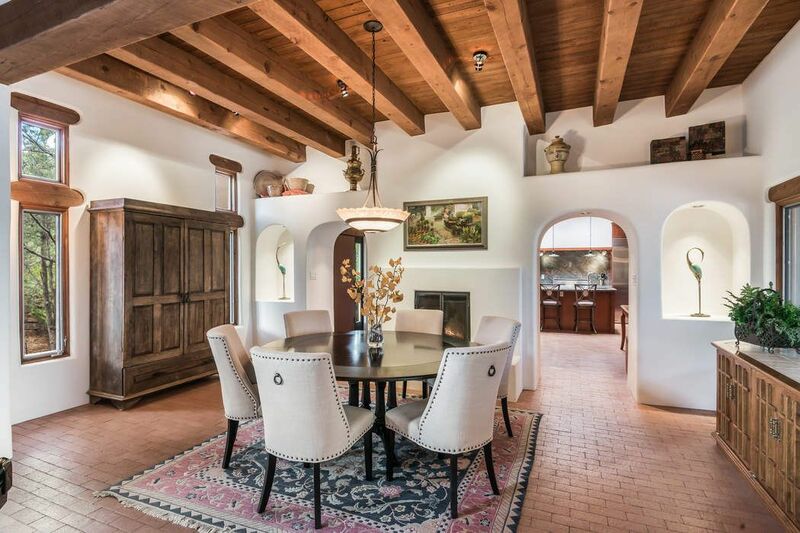 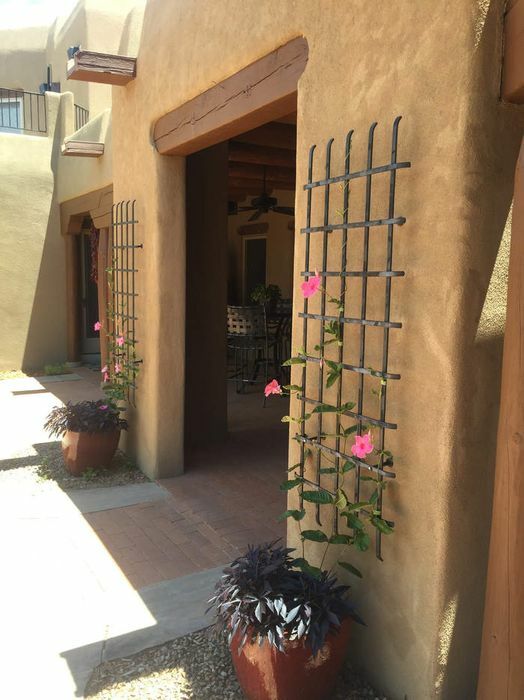 This captivating home is sited on the 6th fairway of the Las Campanas Sunrise Course and offers stunning mountain views.